Natalie Nudell spoke with us about Ruth Finley, the creator of the influential American Fashion Calendar, who recently passed away after more than 70 years at the Calendar’s helm. The interview was conducted by Anna Burckhardt, curatorial assistant in MoMA’s Department of Architecture and Design. Anna Burckhardt: Welcome, Natalie! Could you start by telling us about yourself and your work? 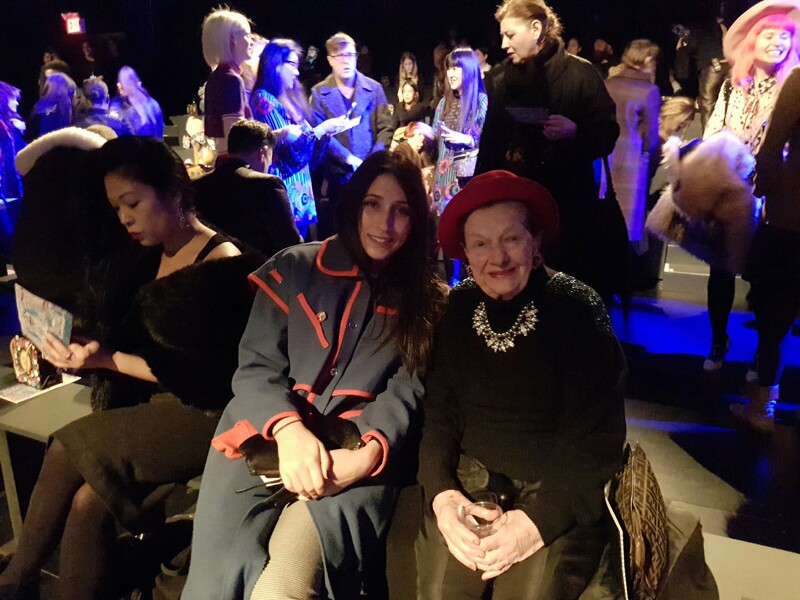 Natalie Nudell: I am a fashion and textile historian and an adjunct faculty member in the History of Art Department at the Fashion Institute of Technology in New York City. My research is oriented toward the postwar American fashion industry and its commercial culture, relationship to women and labor, and influence on design. For the last several years, I have been researching the Fashion Calendar, which stemmed from my experience as co-producer and writer of the upcoming documentary Calendar Girl, about Ruth Finley, who created the Fashion Calendar in the 1940s. I also serve as a contributing editor of Fashion Studies Journal and am a founding member of the Fashion Studies Alliance. In the early 1940s, the American fashion industry was disjointed and lacked a cohesive unifying force. The Fashion Calendar functioned as a clearinghouse for all logistical information about the American fashion schedule, and provided contact information for the year-round fashion shows and promotional events in the United States and abroad. It minimized conflicts and ensured that all segments of the supply chain that make up the industry had reliable information. The Fashion Calendar was the single source that aggregated this information and therefore articulated who was participating in American fashion at any given time. As a result, the Fashion Calendar became a key entry point into American fashion. Being a subscriber or listed in the Calendar marked one’s participation and engagement within the industry. While the Fashion Calendar was in print it was a timely compendium of vital logistical information, but as a historical document it is a cohesive seven-decades long treasure trove of data. The Fashion Calendar archive is a record of all the participants in the American fashion industry, big and small, and is a key source for interpreting the history of American fashion. Ruth was known for developing close relationships with designers and guiding them when they were first starting out. Can you mention specific examples? Ruth’s Fashion Calendar always remained a small-scale operation even though it held a vital role in the organization of a multi-million-, and now multi-billion-dollar industry. She took a very personal approach to how the Calendar was run and forged meaningful relationships with designers and members of the fashion industry. Her longevity put her in an interesting position of watching the rise of the majority of iconic American designers. She would give advice on locations, dates and times, and guide newcomers on how to organize shows. Ruth would connect fashion show producers to clients and suggest editors to invite. Importantly, she would also advise emerging talent on whether they were ready to show. Bill Cunningham, the iconic New York Times photographer, was a milliner in the 1950s and 1960s and could not afford to list his show when he started out. Ruth supported him early on by listing his shows for free. Ruth was the starting point for any young designer to get listed and participate in fashion week. In the late 1980s, Marc Jacobs, Anna Sui, and a slew of emerging talent, who would be catapulted into the mainstream in the 1990s, all made the pilgrimage to the Fashion Calendar’s Upper East Side office in New York to have a meeting with Ruth. Exposure in the Fashion Calendar enabled designers and manufacturers to invite buyers and editors to promotional events and fashion shows, helping to launch collections and designs into the public sphere. What motivated you to research Ruth and her work? In 2014, while in graduate school in the Visual Culture and Costume Studies Program at New York University (NYU), a group of students and I curated the exhibition Runway Moments: New York Fashion Week at 80WSE Gallery. Runway Moments examined how the culture of New York City influenced the fashion presentations and industry based there. I had recently read about Ruth and the Fashion Calendar in a Wall Street Journal article and realized that the Calendars would be an important aspect of the exhibition. After Ruth agreed to lend us some Calendars and participate in the exhibition’s symposium, I was confronted with the magnitude of Ruth’s significance to the development of the American fashion industry. She was the insider’s insider, working and maneuvering behind the scenes, wielding exceptional power with a self-made authority that was buttressed by seven decades of experience. Once I learned that her archive had not been investigated, I jumped at the opportunity to learn more about the historical importance of the Fashion Calendar and Ruth herself, as well as the history and genealogy of postwar American fashion through the lens of the Calendar. Trailer for “Calendar Girl” (renamed from “Ruth Finley’s Fashion Calendar”). Projected release in late 2019. How did the documentary film come about? Tracy Jenkins Yoshimura, who was my professor at NYU, and her good friend Kate Del Pizzo approached me soon after the Runway Moments exhibition closed. They were inspired by Ruth, whom they met at the exhibition’s symposium, and proposed making a documentary film about her and the Fashion Calendar. Kate and Tracy looped in Christian Bruun to direct the film and, after a few months of persuading her, Ruth agreed to start filming. The timing was superb as Ruth had just sold the publication to the CFDA and was working on her final issues and closing the office. We were able to follow her around fashion week shows and interview important designers and figures in the fashion industry. Can you talk about your relationship with Ruth? Ruth and I formed a strong bond during the time we were shooting the documentary since we shared a curiosity and knowledge of fashion history, she through experience and exposure, and I through research. When I decided to shift my academic work to the American fashion industry and the Calendar, I found myself in an interesting position of being able to interact with the subject of my research. It was invaluable to my understanding of the publication and I was able to find clarity on many questions, as well as consider how memory interacts with the historical record. One of the things that was so special about Ruth was her love of people and devotion to her friends. In addition to my professional interactions with her, I was lucky to be mentored, befriended, and encouraged by Ruth in every way. In 2014, Ruth sold the Fashion Calendar to the CFDA. How do you think this change impacted New York Fashion Week and the American fashion industry? By the time Ruth sold the Fashion Calendar in 2014, the American fashion industry had grown and the amount of shows and events were at an all-time high. The continued growth and development of the CFDA as a unifying force in American fashion from the 1960s ensured that by the early 2000s the industry was much more organized and institutionalized. In an effort to streamline the shows for editors and buyers, the CFDA’s Fashion Calendar uses a more rigorous standard for participation in the official Fashion Week schedule, but continues to support emerging designers through programs like the CFDA Design Incubator and the Vogue Fashion Fund. I think it is still too early to chart the impact this transition will have, but it likely will reflect the much broader factors currently influencing the fashion industry, such as the speed in which fashion is consumed, changes in consumer habits, online shopping, and the continued collapse of the “traditional” fashion cycle, among others. How could the fashion community develop in the future in ways that would honor Ruth’s values and work? 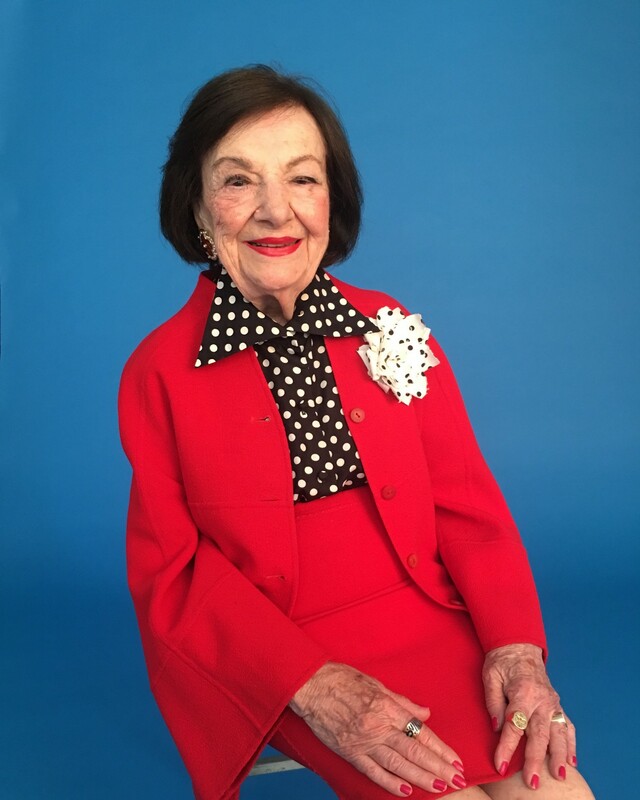 Maintaining the open spirit of the American fashion industry as well as encouraging and supporting young designers and emerging talent would further Ruth’s legacy and values. She believed that the personal interactions and relationships that make up the industry are vital to its development. I think initiatives such as the CFDA Incubator, among other mentoring programs, continue the type of engagement to which Ruth was committed.